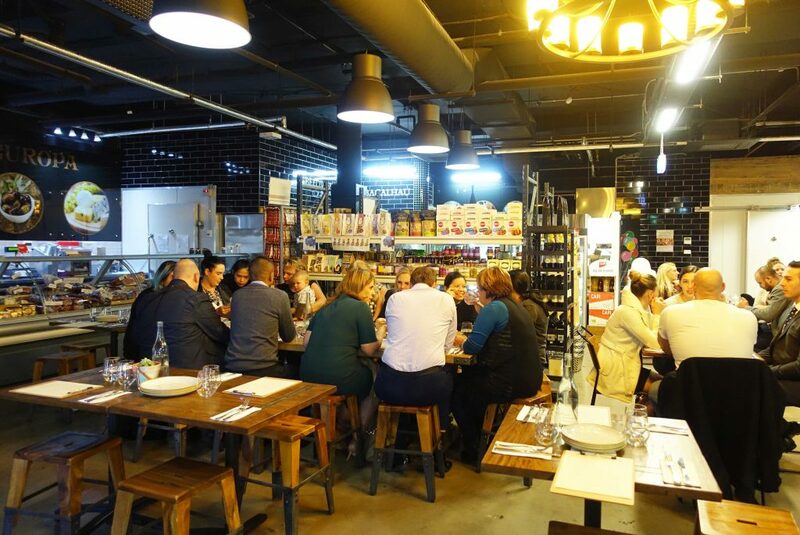 Majestic Gourmet Grocers in Petersham have launched a new evening menu and venue named Harvest Bar, I had the pleasure of visiting the cafe Majestic Harvest a few months ago and loved it. I’ve been looking forward to the launch of the bar for a while now so it’s great to see an amazing menu come to fruition. 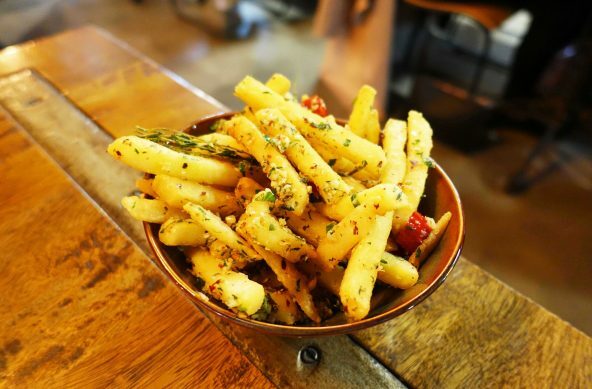 The majestic herb fries are actually some of the best I’ve had in Sydney, they’re perfectly crispy and covered in a mixture of delicious ingredients including chilli, cheese, garlic and rosemary. 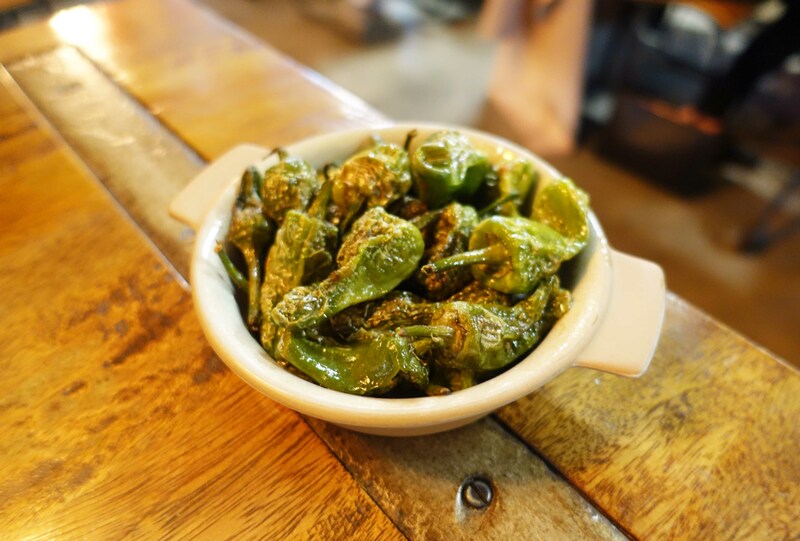 It’s quite difficult to find a tapas venue in Sydney that does really good roasted padron peppers so I was happy to find that the ones at Harvest Bar lived up to expectations. I’ve always heard that only a small amount of these peppers are spicy but I’ve yet to even hit a single one that was hot. 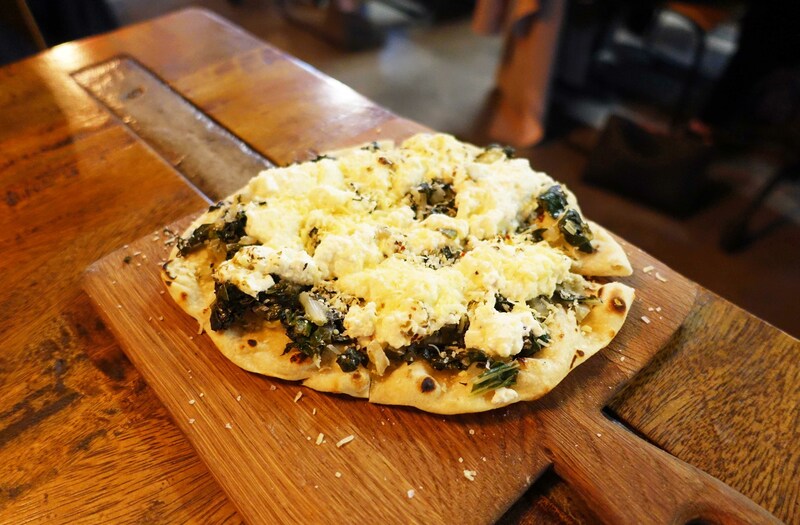 The chilli flatbread topped with delicious ricotta cheese and my favourite silverbeet was a nice dish overall. The flatbread was the right amount of crispy and the choice of toppings gave it great flavour. My favourite dish of the night was definitely the wagyu rump cap. 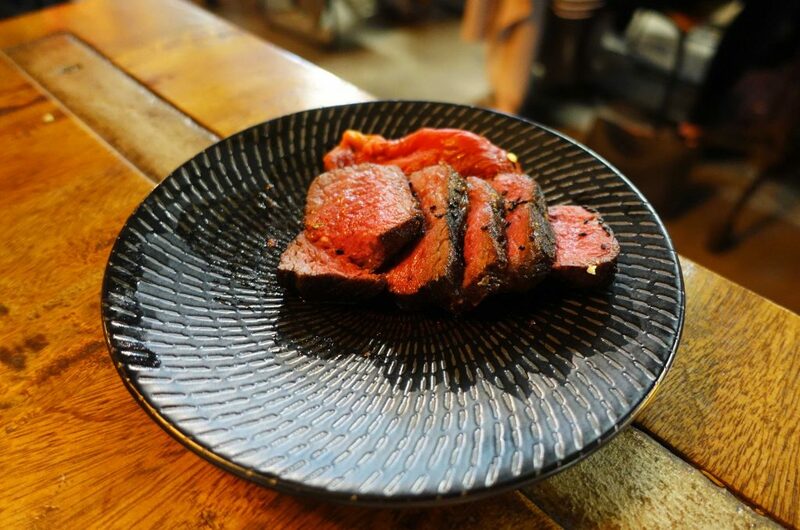 The wagyu was cooked perfectly medium rare and is very well marbled, giving it a pleasant tender texture coupled with delicious flavour. 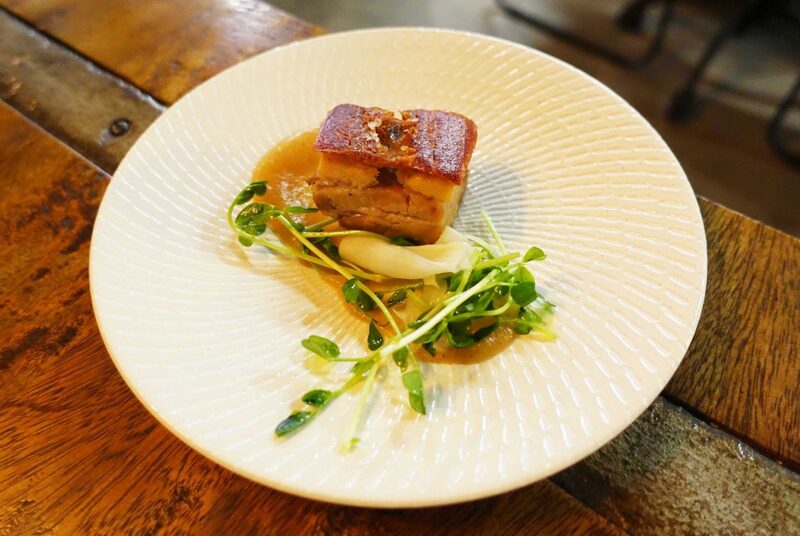 The pork belly was a nice way to finish off the meal, the skin was very crispy and the apple puree was smooth and flavoursome. 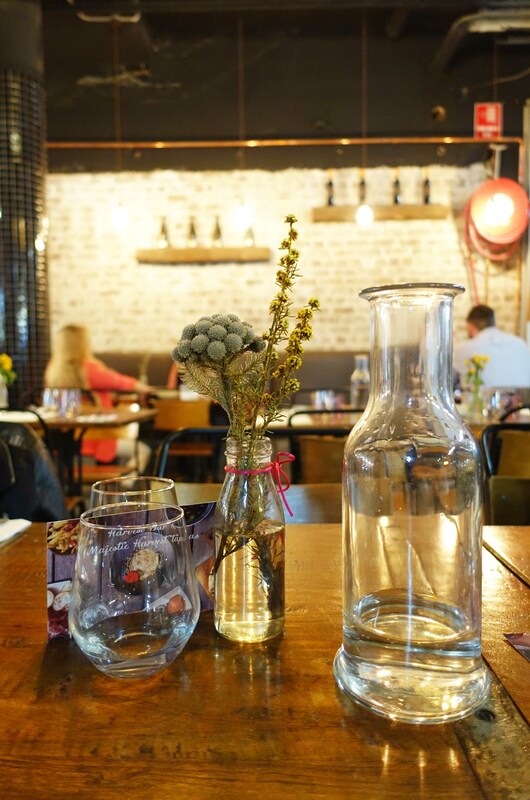 The dish itself is quite a standard one on many menus but it’s definitely done well. 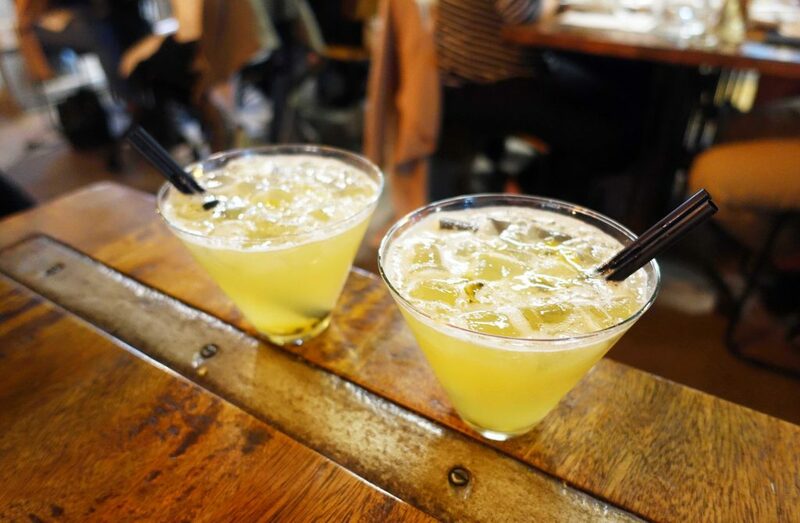 The venue is licensed so they’re able to serve up drinks at the small bar upstairs and the wider restaurant downstairs. I quite enjoyed the majestic cocktail which is just the right amount of sweet and tangy. 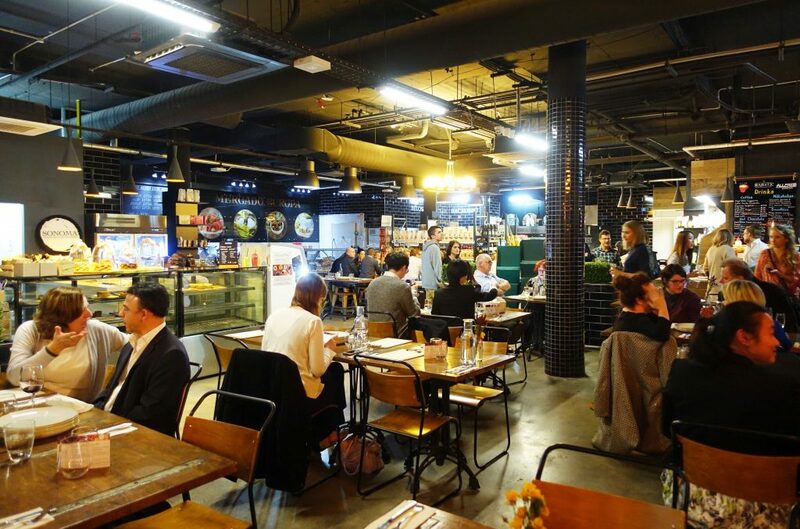 The venue is an interesting space that reminds me somewhat of the Fratelli Fresh restaurant, the marketplace and shopping space is right by the eatery which gives the dining space a sense of space, it never feels too loud or busy. 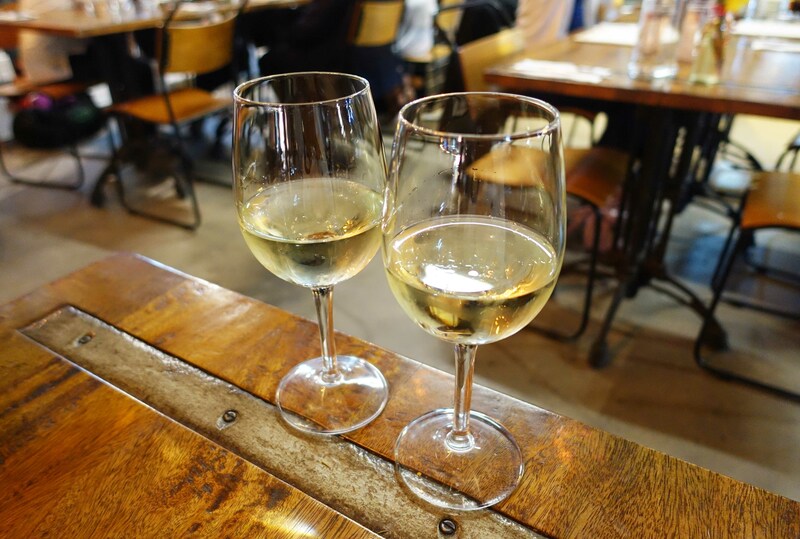 A minor note – the food menu is amazing but the service still requires some work, however given we dined on their first day I’m confident they’ll have it down pat soon. 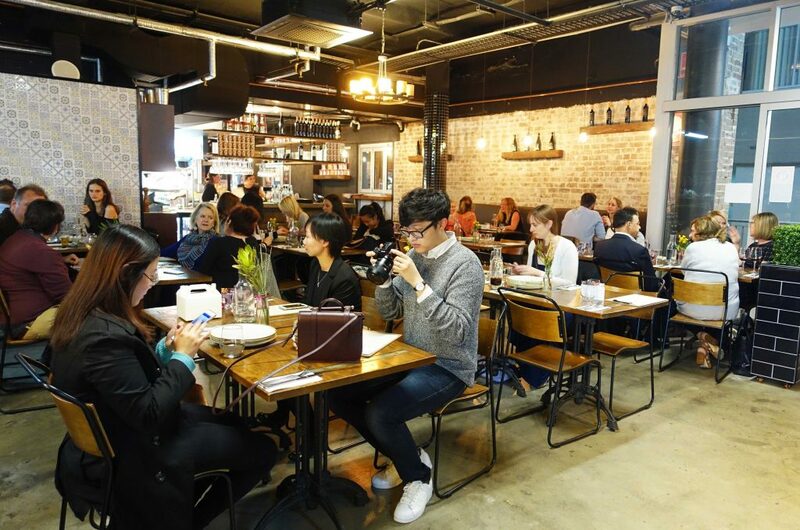 The Food Diary dined as guests of Harvest Bar and Wasamedia.